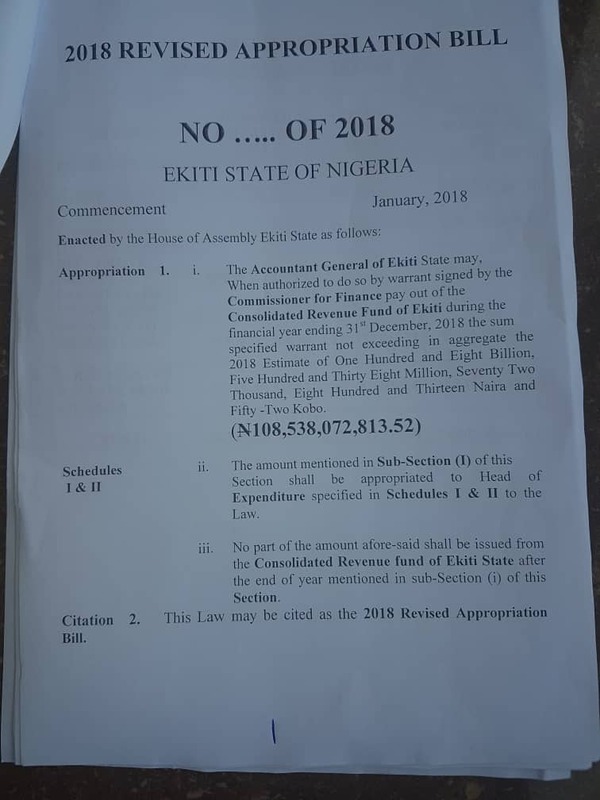 Fayose orders Ekiti Assembly to approve N10b Appropriation a month to hand over…. 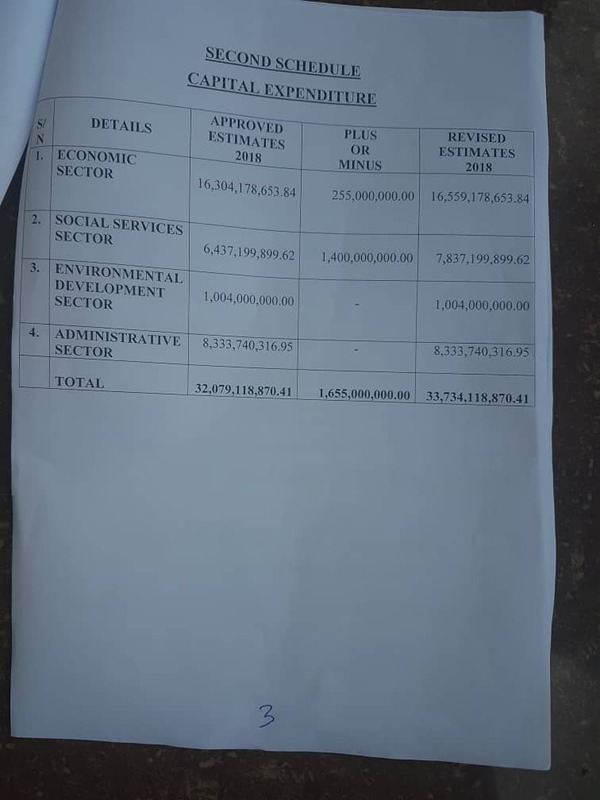 In a fraudulent move barely a month to the end of his administration, Ekiti State Governor Ayodele Fayose, has forwarded an appropriation bill of N9,926,527,772.86 (Nine billion, nine hundred and twenty-six million, five hundred and twenty seven thousand, seven hundred and seventy naira, eighty six kobo) to the State House of Assembly for approval. 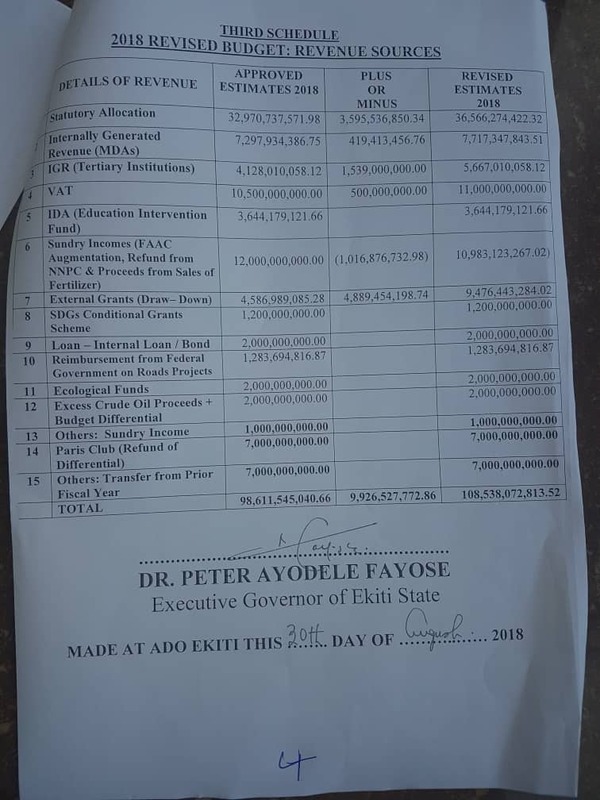 Titled “2018 Revised Budget”, the Governor’s fresh request, which carries his signature was back dated August 30th. It was received at the office of the Clerk of the House of Assembly on Monday September 10th, by 3.40pm. Already, the lawmakers who have been on recess since July 16th, have been directed by the Governor to work on the request. It was gathered that the Speaker of the House, Rt.Hon. 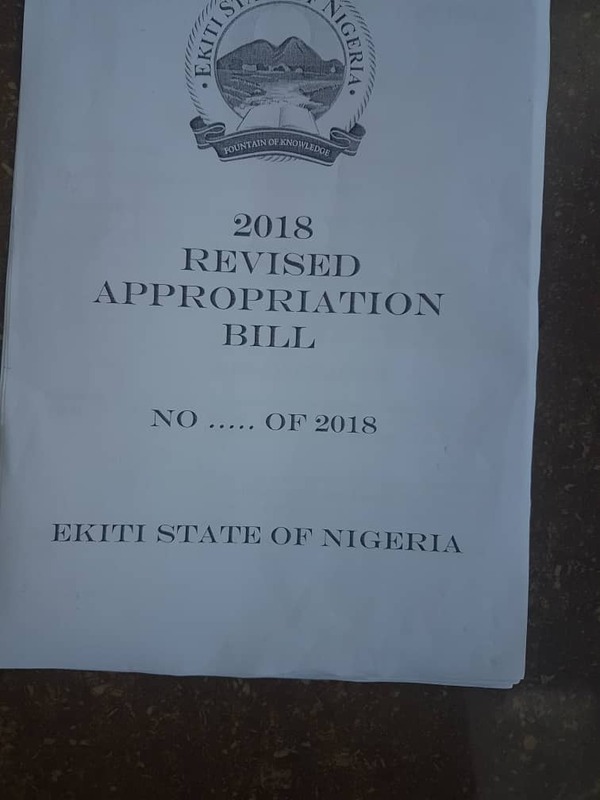 Kola Oluwole, has reached out to some members of the Appropriation Committee and work has commenced on the bill without recourse to the parliamentary procedure. According to Assembly sources, the lawmakers are to work on the bill and pass it quietly within the shortest possible time. To this end, the usual parliamentary procedure of First and Second readings have been side stepped as the committee members are to sit to approve the bill ahead of the deadline given by the Governor. 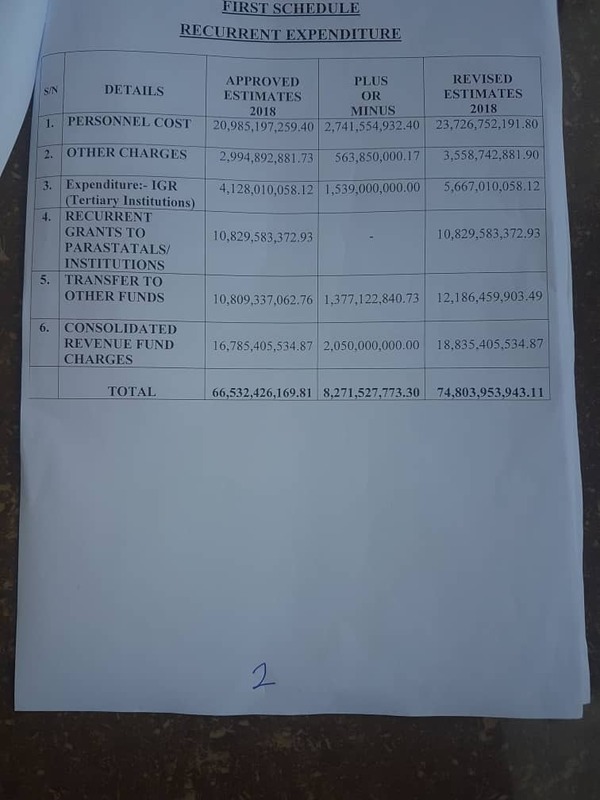 It was further gathered that the Governor’s request is the first of its type this year, as no supplementary Appropriation Bill had been forwarded to Assembly since the passage of the 2018 budget.